Pioneers in the industry, we offer rectangular bath tub, round bathtub, corner bathtub and oval shape bathtub from India. Rectangular Bath Tub with front & side panel with 1.50 hp whirlpool system body massage with manual control panel and overflow set & cushion. 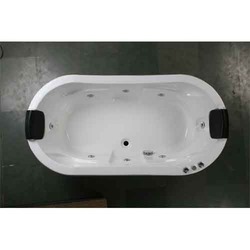 Rectangular whirlpool tub with front & side panel loaded with 1.50 hp whirlpool system body massage, micro jets for back massage, f.m/cd changer with speakers, under water led lights, hot & cold mixer with shower & spout, head rest pillow, ozoniser. In order to meet the diverse preferences of our respected clients, we are betrothed in offering Round Bathtub. The offered round bathtub is designed with the help of quality approved material and modular technology, in observance with set industrial standards. 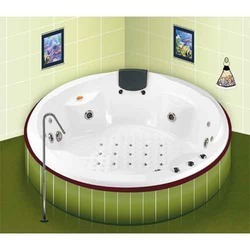 This round bathtub is available various designs & sizes as per the need of clients. Our round bathtub is checked on numerous parameters in order to deliver a defect free range from our side. 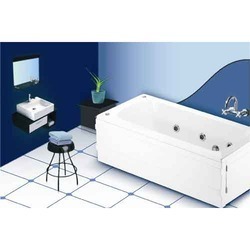 As one of the renowned manufacturer, exporter, trader and importer of quality assured Corner Bathtub. This corner bathtub is acclaimed in the market due to its high performance and longer service life. Our offered corner bathtub is designed with the help of premium quality material and advanced tools under the guidance of excellent professionals. 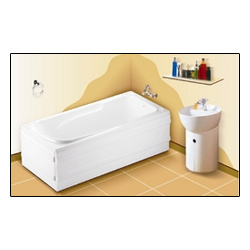 Customers can avail this corner bathtub from us on numerous sizes & designs according to their requirements. 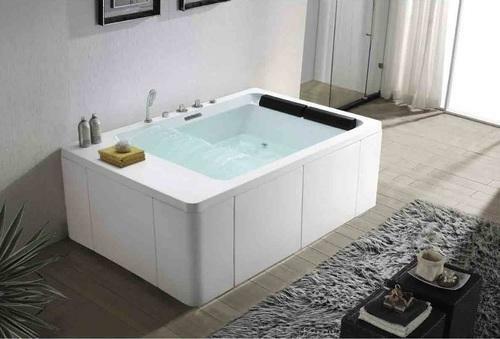 We are a significant organization in the market engaged in offering an enormous range of Oval Shape Bathtub. Our oval bathtub is inspected on various parameters by quality controllers so as to ensure its flawlessness. The offered oval bathtub is designed in such a way that it gives relief to your back & neck. This oval bathtub is accessible in various designs, sizes and shapes, in order to meet the vast requirements of our customers. 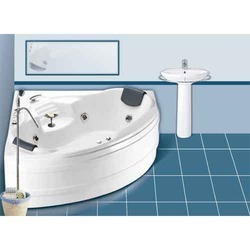 Corner Bathtub with front panel loaded with 1.50 hp whirlpool system body massage with manual control panel and overflow set & cushion. Rectangular Bath Tub with front & side panel with 1.00 hp whirlpool system body massage with manual control panel and overflow set & cushion. Rectangular BathTub with front & side panel with 1.00 hp whirlpool system body massage with manual control panel and overflow set & cushion. 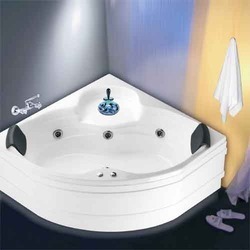 Looking for “Whirlpool Tubs J Series”?